Although the idea of writing a Planescape retrospective has been on my mind for a while now, I didn't want this to be "just another" retrospective on one of the best CRPGs of the last fifteen years, and I certainly did not want to spend 2000 words rambling on about the memorable and eclectic characters, the unpredictable and ever-engrossing story, the haunting, evocative soundtrack, and the brilliant and twisted artwork, because I'm sure for anyone reading, that much is familiar... and if it's not, you owe it to yourself as a human being to become familiar. Instead, I decided to take the article in a different direction. In this piece, I'd like to discuss Planescape not so much as it is, but rather the context it finds itself in ten years after its release, where I could see the property moving in the future, and which direction I'd like it to go in. I'd also like to use it as a way to respond to recent comments made by Obsidian CEO Feargus Urquhart, because they are especially relevant to such a topic. Planescape: Torment is one of those games that's able to elevate a discussion simply by its inclusion. Although highly divisive among some players, broad consensus affirms it as one of the foremost bastions of storytelling not just in role-playing games, but in gaming as a whole. Not only does it take place in one of the most inventive and genuinely interesting Dungeons & Dragons campaign settings, but it has enough interesting characters, scenarios, and organizations to fill a dozen other titles. What are incidental details in its world boast more depth and development than the main concepts of many other titles, and the sheer number of options available in dialogues, the number of unique characters, the variety in creatures the player meets, and creativity of design in the locations, sets it apart from any other game. It's a product of love, care, attention to detail, and passion for role-playing games, and it shines through not just in the game itself, but in how fondly remembered it is by its fans. 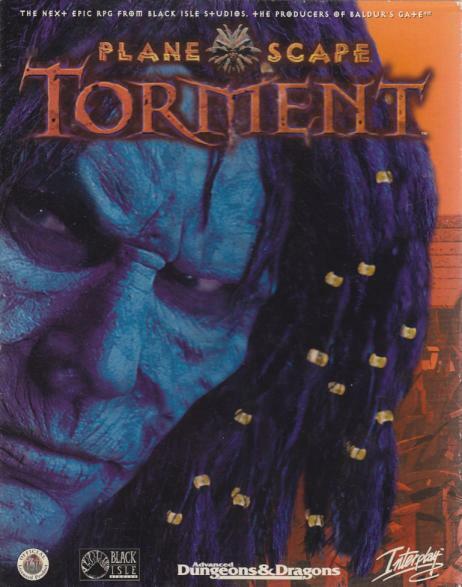 "I remember right after finishing Planescape: Torment I spoke to Chris Avellone [Obsidian creative director] and asked what he wanted to do, and he was like, '˜I don't wanna do a sequel!' We haven't talked about it in ten years, but it might be different now. But a lot of revisiting old games is about saying, '˜okay, that worked in 1999, what would work now?' And how would you do it again?" "We'd have to think a lot about it, because it would have to be done right, otherwise the fans of the original would be pissed off and new people wouldn't get it. That would be terrible." To begin, in all fairness, I'd like to reiterate that Obsidian have not confirmed they are working on a Planescape: Torment sequel, nor have they confirmed they have any plans to do so. This comment by Feargus comes during an interview in Play magazine, when asked about games he would potentially want to revisit. Rumours have abounded recently about whether Obsidian would be revisiting some of their most celebrated games of the past, so it's worth pointing out that this represents the opinion of one person, and is not indicative of the direction of the company as a whole. Fans are understandably agitated by these comments. If there has been one sentiment I have observed across many RPG communities, that sentiment has been "don't do it!" and I think that sentiment comes with very good reason. Planescape is, for its successes, an anomaly. It's criticized by some for being more interactive novel than game, and its admittedly middling combat certainly doesn't help deny the fact that some aspects of its gameplay pale in comparison to its writing. As much as it's put up on a pedestal, it's not indefensible as a game, and therefore, one would think that fans would be excited at the prospect of one of their favourite games coming back for another take, to go back and improve upon the things that were lacking. To understand why this is so, we have to examine what Planescape did, both as a self-contained game, how it related both to the industry upon its release, and how it might relate to the games industry now.